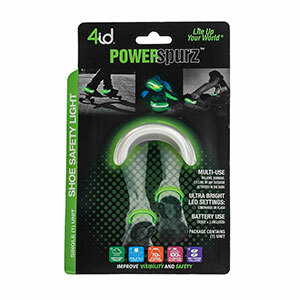 Keep safe while exercising outdoors with the "Power Spurz" light-weight heel spurs. You can choose the pulse or continuous light setting depending on your preferences. 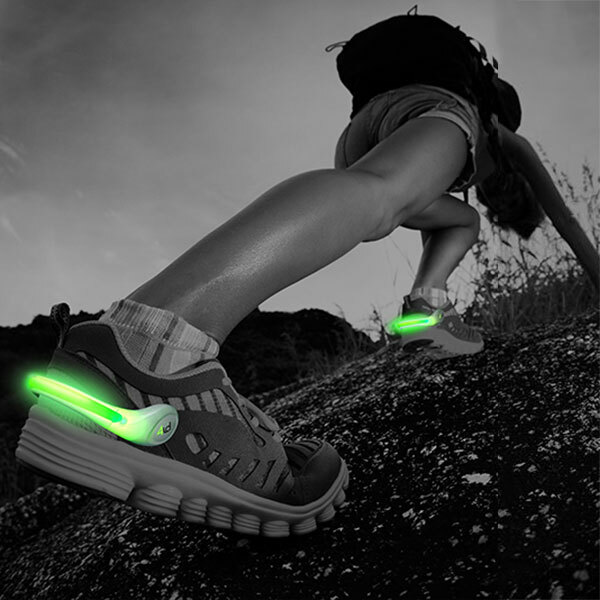 This item slides easily on to the back of your shoes and shines brightly with vibrant LED lighting. Two CR2032 style batteries are included.